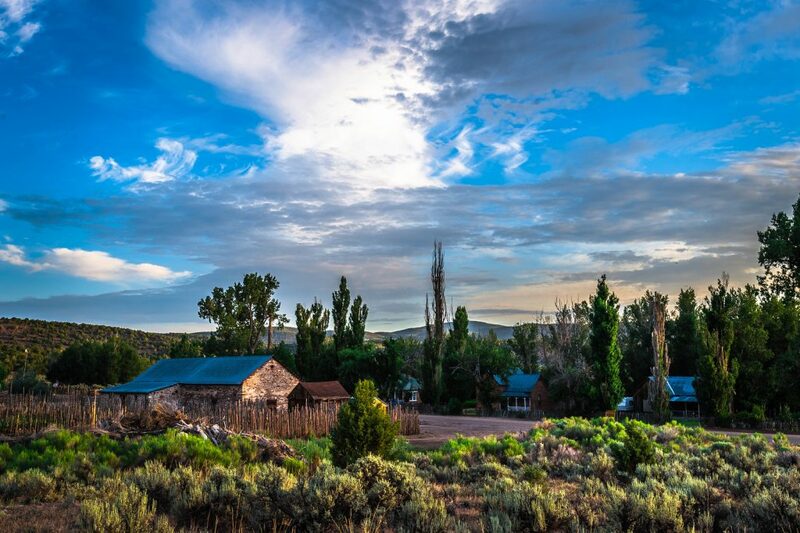 FEATURE – On a lonely road west of Enterprise stands a grouping of historical structures surrounded by century-old cottonwood trees. It’s an area unknown to many. The place used to be a major transportation hub, but these days, only a few cars pass by it each day. 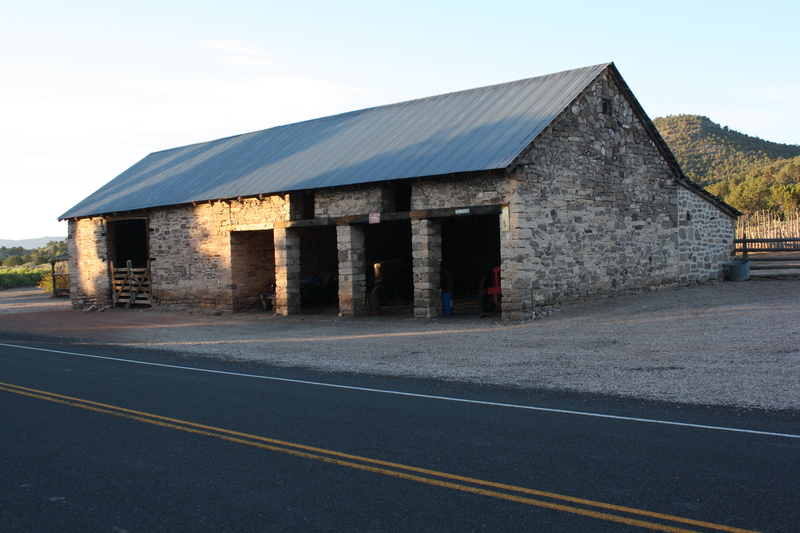 The most striking of all the buildings is a former stagecoach stop more than a century old and fashioned of stone. Other houses on the site still exude their late 19th century charm, built of bricks made from clay extracted from a nearby hill and fired right on the ranch property. 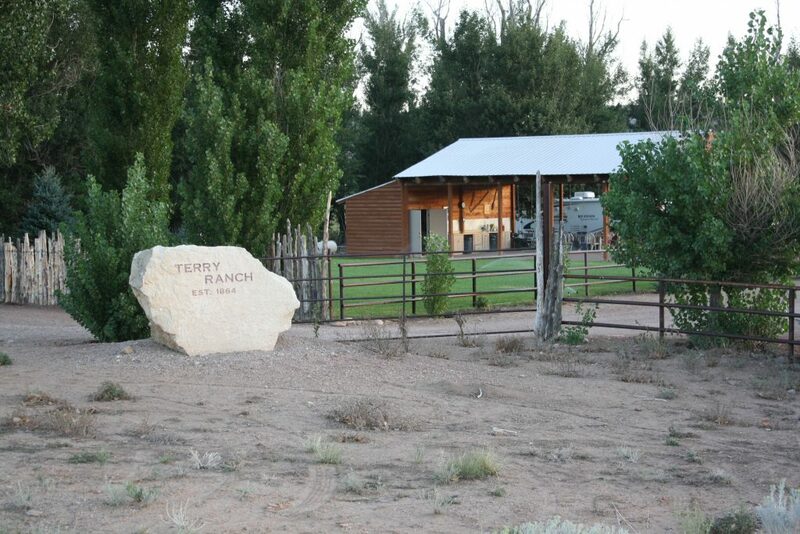 The Terry Ranch is a showcase of nearly 150 years of history, and to many in the Terry family, it is a place of nostalgia and refuge, a location for beloved reunions and recreation and a location where they’ve done a good job at preserving history. 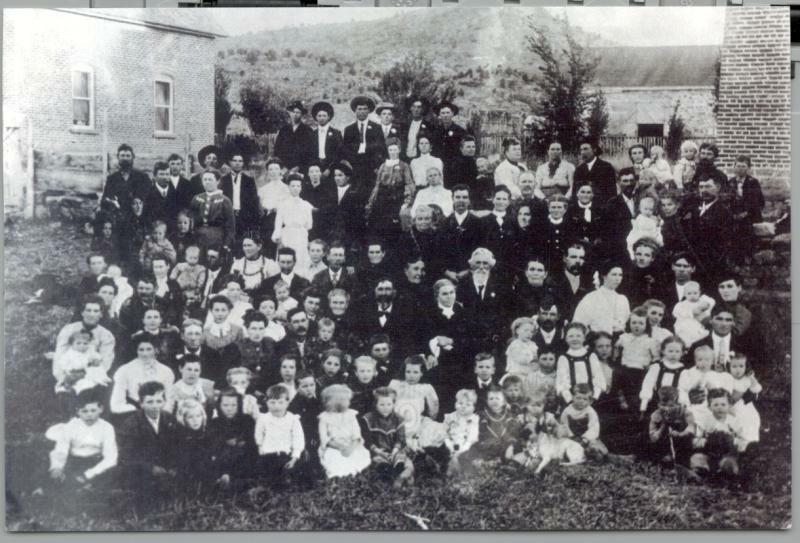 The patriarch of Southern Utah’s Terry family, Thomas Sirls Terry, wasn’t part of the most trying times of the early history of The Church of Jesus Christ of Latter-day Saints, such as the Haun’s Mill Massacre and the persecution that prompted the early Saints to move from Ohio to Missouri to Nauvoo, Illinois. However, he was on the front lines of the Mormon migration West. Born in Bucks County, Pennsylvania, on October 3, 1825, and baptized in 1842, the 21-year-old Terry was hired to drive a wagon west in the first party to reach the Salt Lake Valley in 1847. 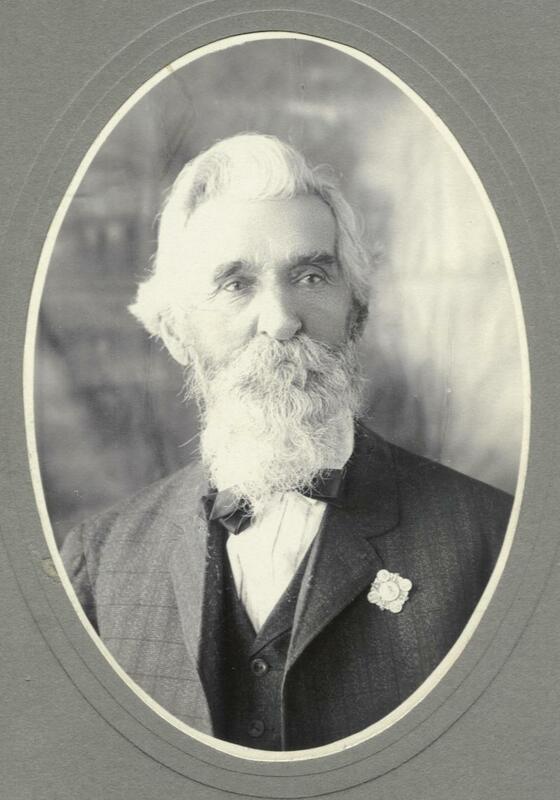 By several accounts, he is credited with digging the first well in the Salt Lake Valley. He married his first wife, Mary Ann Pulsipher, in 1849 and his second wife – and Mary Ann’s sister – Eliza Jane Pulsipher in 1855. 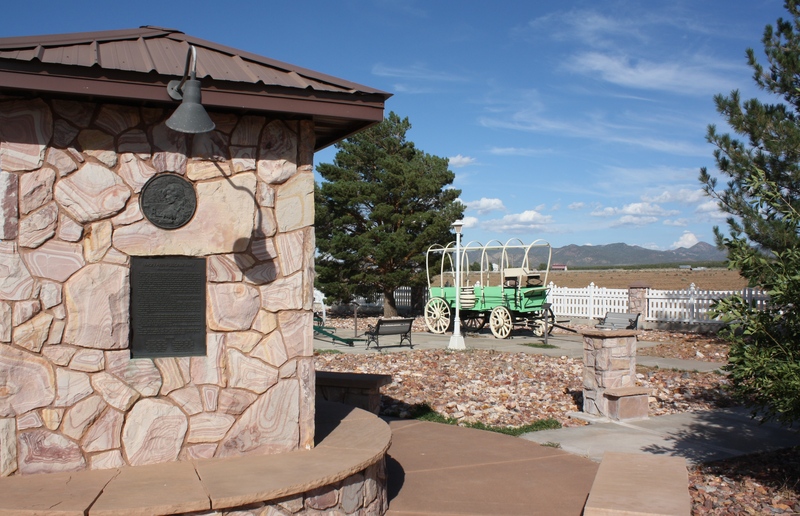 Called to open the Dixie Mission in the fall of 1862, both wives delivered children in a wagon on the way down to Southern Utah. Later on, Terry took on two other wives: Lucy Stevenson in 1857 but who left him in 1861 to become a dancer, and Hannah Leavitt in 1878. Terry fathered 30 children, 26 of whom lived to adulthood. In 1864, he established his ranch on Shoal Creek, so named for an Indian chief of the same name. 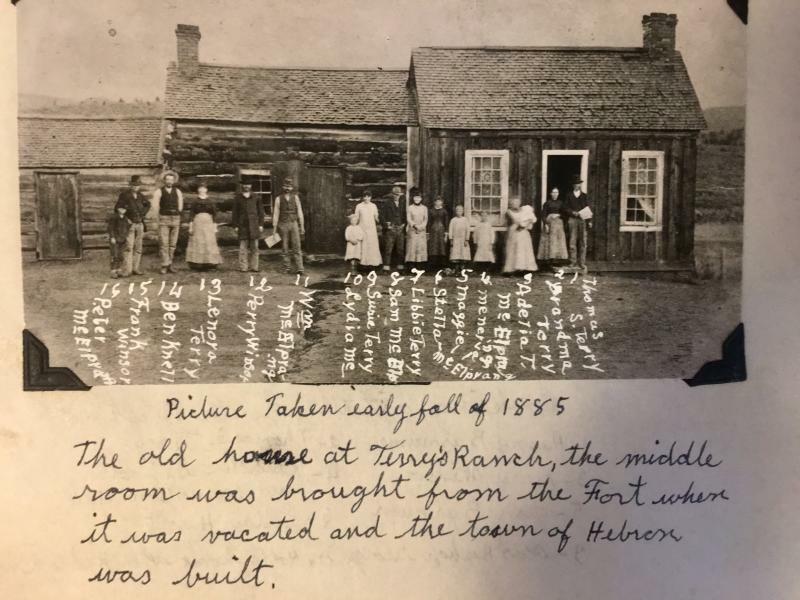 Suellen Terry Michel, great-great-grandaughter of Thomas Sirls Terry and president of the Thomas Sirls Terry History Association, said the ranch was known as “Big Willow Bend” in the beginning but is now affectionately known as Terry Ranch. The first crop the Terrys tried when they arrived was cotton, then potatoes, Michel said, but those “didn’t take” and they instead turned to corn as their staple crop. The Terrys also grazed beef cattle and had a herd of dairy cows, which were milked morning and night. 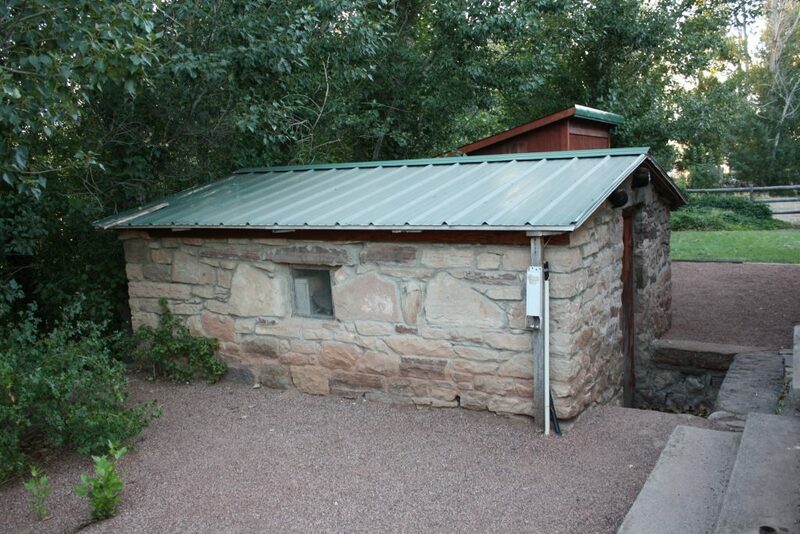 The resourceful Terry built a stone storage house around a cool flowing spring. The bins of the storage house were usually full of cheese, butter and milk. Terry would load his wagon with these dairy products for trips to the mining camps and Salt Lake City to barter for supplies his family needed. Terry was an upstanding member of his faith. He served a mission in the 1850s and was a bodyguard of famous early apostle Parley P. Pratt’s during the same period. After settling at the ranch, he served as bishop of the Hebron Ward for nearly 18 years and later in life was ordained a Patriarch. The family tells stories of him raising several people from the dead and being visited by the devil during a time of acute sickness. But others might not consider Terry a complete saint due to his close brushes with the law. Apparently, he used his ranch’s location on the Iron-Washington County line to his advantage, and when a Washington County Sheriff’s deputy came to arrest Terry for past due taxes – taxes he’d already paid to Iron County – the story goes that Terry entered his kitchen and told the deputy he was in Iron County where the deputy had no jurisdiction, since the county line ran through the middle of the house. There is a stake in the basement of that house marking the county line. Today, the Terrys pay their property taxes to both Washington County and Iron County. 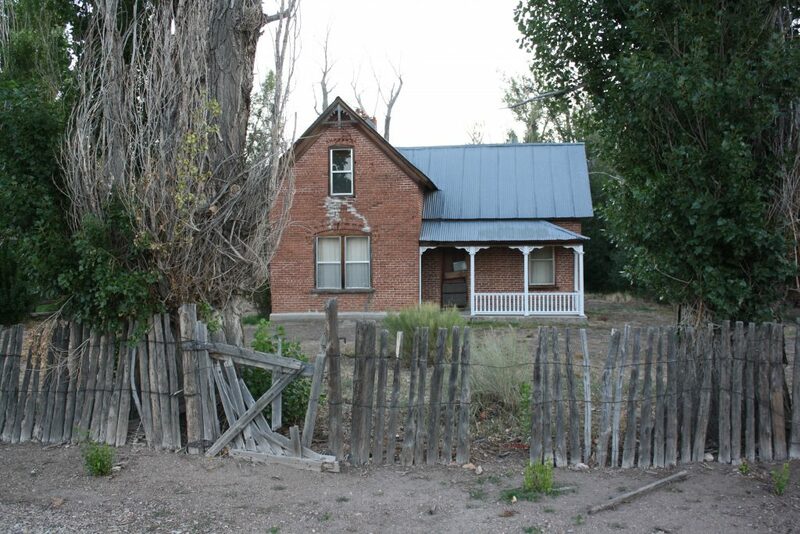 On another occasion, after the Edmunds Act was passed in 1882, which outlawed polygamy, Michel said there were several attempted polygamy raids at the ranch to try to capture Terry. She tells the story of two of Terry’s grandchildren walking 5 miles from their home in Hebron to warn him that federal marshals were on their way to apprehend him, causing him to mount a horse and ride off into the fields to escape capture. Terry had several similar narrow escapes from federal marshals and in 1885, he moved to Beaver Dam, Arizona, for a time to lay low from the law. Another strategy used to avoid conviction for practicing polygamy was to have his plural wives in different places. For instance, Eliza Jane moved to Panaca, Nevada, partly to help take care of her recently-widowed daughter and her family. Hannah moved to Beaver Dam while Mary Ann remained at the ranch. Terry was never arrested or convicted of polygamy, Michel said. He died in 1920, outliving two of his three wives, Mary Ann, who died in 1913, and Eliza Jane, who died in 1919. He is buried in the Enterprise Cemetery. 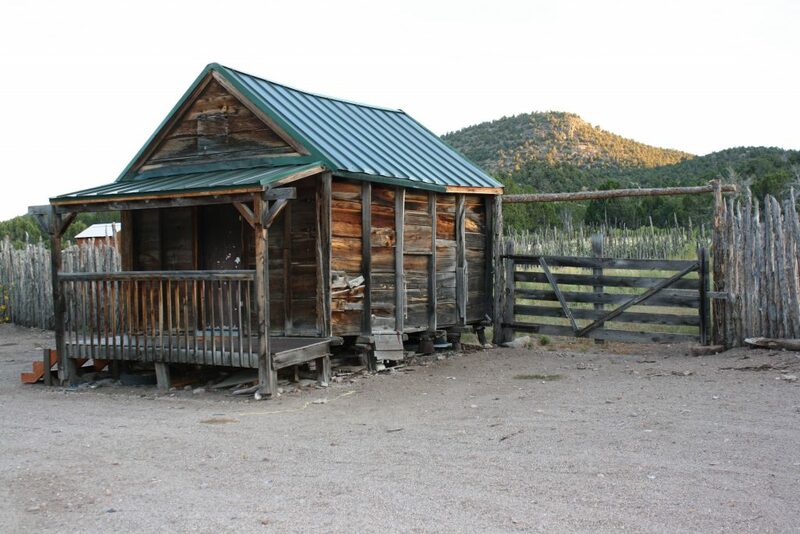 Built in 1873 as a midway stop between terminal points along the main stage and mail route between Pioche, Nevada, and Silver Reef, the old stagecoach stop is the Terry Ranch’s centerpiece. Some call it a fort because of the slit-like gunports carved into the structure to protect it against marauding Indians, an anticipated event that, thankfully, never happened. In contrast, Michel said that by 1868 local Native Americans were quite peaceful and that a group of them even wintered at the ranch for a time. Apparently, what the “fort” did need to protect against on a few occasions were bandits who lingered in the area hoping to get a shot at stealing the bullion wagons originating from Silver Reef heading to Pioche to be processed or stages going the other direction, carrying money from Ely or Pioche to pay Silver Reef’s miners. The bullion-laden wagons, which could be driven into the fortification, were doubly secure since horses and men could remain inside. An adjacent stable allowed for horse care and the portholes in the stone walls allowed those inside to shoot their guns if a raid occurred. Michel said a story has circulated that on one occasion robbers pursued a bullion wagon coming from the railhead in nearby Modena. The drivers quickly drove the wagon into the “barn,” as the Terrys now call it, for protection, and the outlaws never touched any of the bullion. Michel’s cousin, David Terry, a great-great-grandson of Thomas Sirls Terry, said that such stories are probably legends because none have ever been truly substantiated. 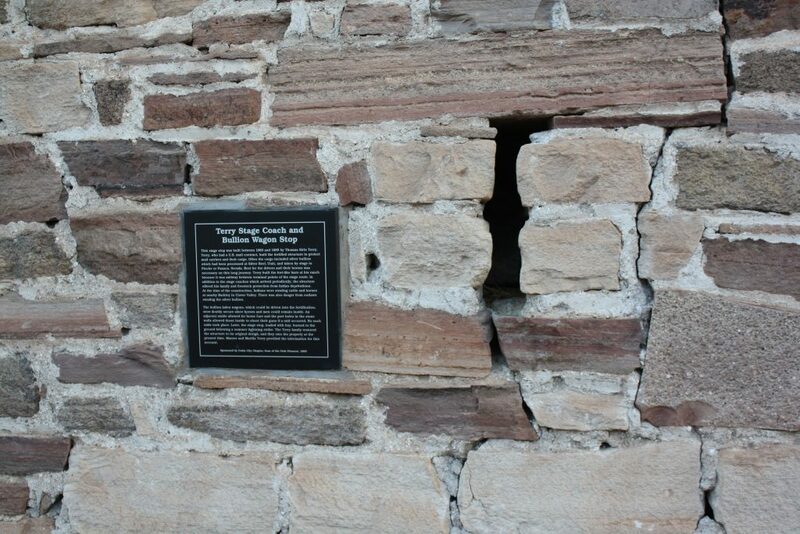 The stone building’s eastern half included an upstairs where stage drivers lodged. 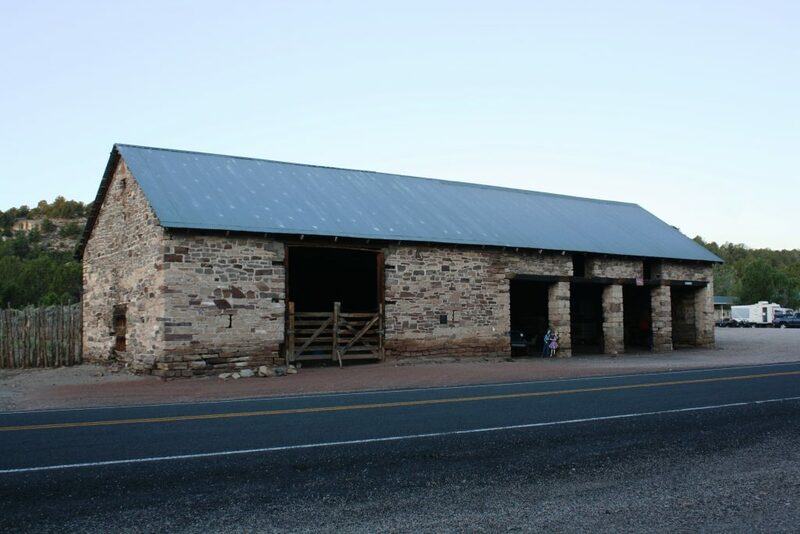 The large corrals around the stop were built to house the many horses required to keep the stage drivers and mail carriers with fresh horses as well as to hold the Terry family’s large cattle herds, which they drove to the closest railhead at nearby Modena for shipping to California markets. 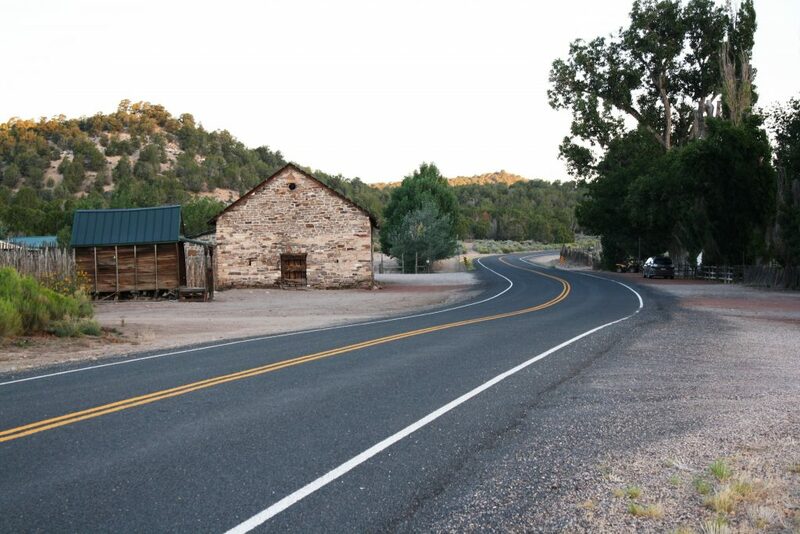 In addition to being a stage stop, it was a stopover for many other travelers coming from farther west on their way to southwestern Utah settlements. The stop meant the Terrys did not live in isolation and associated with many travelers from outside their community. One such example is a freighter from Panaca who took a fancy to one of Terry’s daughters, which eventually led to their marriage. In July 1969, lightning struck the hay-laden structure, and it caught fire, which burned the roof and smoke-stained parts of its stonework. Insurance covered the incident, and the Terry family replaced the roof and restored it to its original design. The one thing missing from the historic structure today is its large wooden doors where the stages entered. Across the highway from the old stagecoach stop is a row of three houses, each one built in the 1890s using the same design and brick. They became the homes of three of Thomas Sirls Terry’s sons, Thomas Jr., Luther and Joseph. Fire destroyed the top story of the Thomas Jr. home, the one farthest west, in the 1930s. Instead of rebuilding that story, they put a roof over the first story in the late 194os. 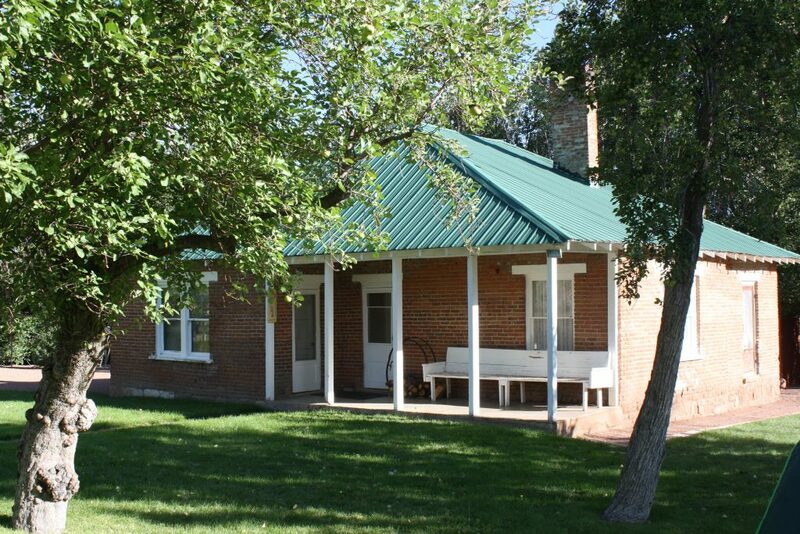 Just as each home was used by the three brothers, the three homes are now owned by different groups of descendants of the original Terry family who settled the ranch. The Thomas Sirls Terry Jr. home is still owned, in a trust, by his descendants. It is the home that is half in Washington County and half in Iron County. The other two homes, interestingly, are in Washington County, David Terry said. The middle home resembles its 1890 appearance the most of the three, but it is uninhabitable. However, David Terry said the part of the family that owns it would like to restore it and might seek historic preservation grants to do so. The home farthest east features a wood exterior to this day because its builders were embarrassed by how the brick turned out and covered it up, David Terry noted. David Terry said his part of the family owns approximately 960 acres of land, only five of which are in Washington County, with the rest in Iron County. The family still runs cattle on the land, which was one of its original uses. 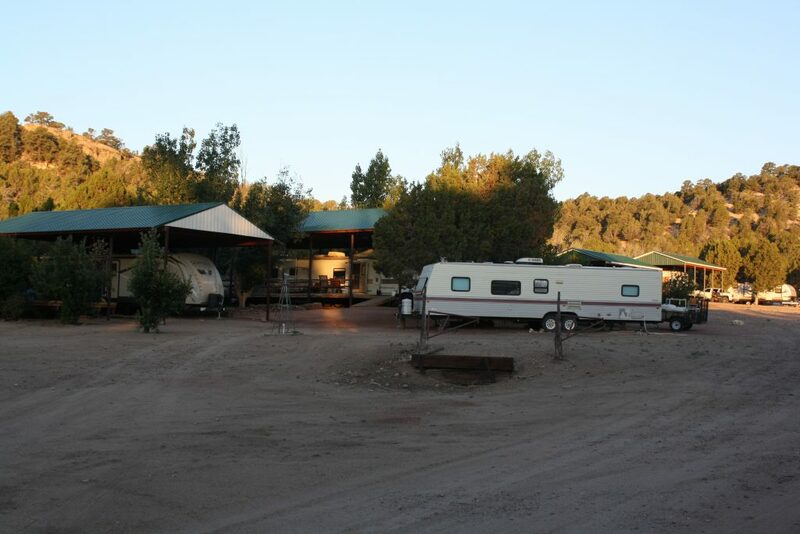 And just by looking at the number of surrounding RVs, in what amounts to a family RV park just west of the old stagecoach stop on the south side of the highway, it is clear that the ranch is still a retreat for many family members, many of whom still live in the St. George area. 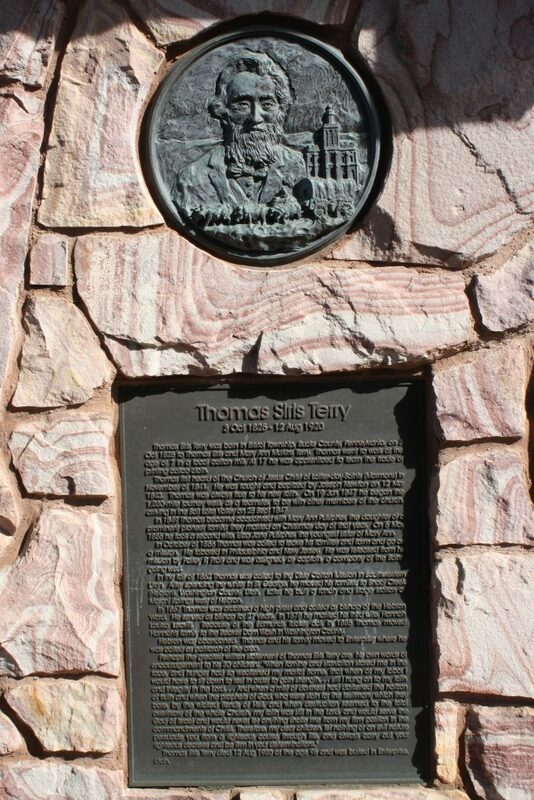 In 1996, the Terry family erected a history park in Enterprise dedicated to preserving the memory of Thomas Sirls Terry and his wives and their contribution to the settlement of the area. It includes plaques about the lives of Terry and his three wives as well as historic machinery and farm implements. 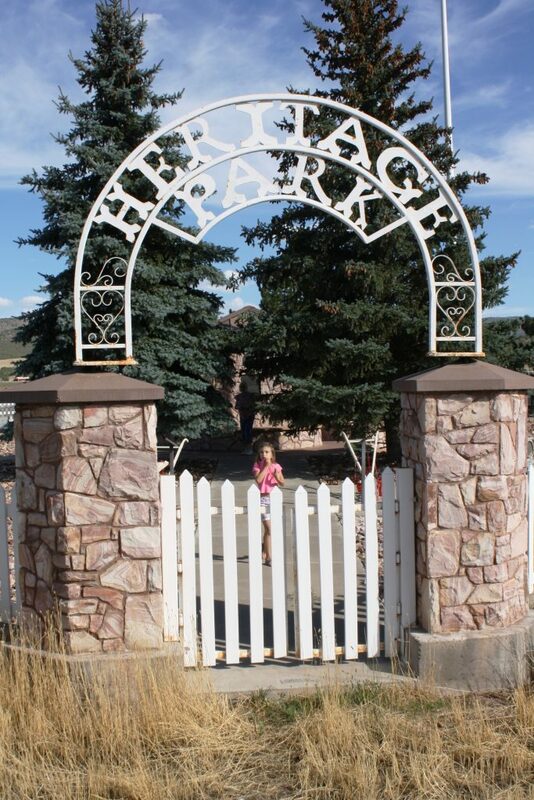 Dean Terry donated the land and machinery, and LDS Apostle Elder Jeffery R. Holland, whose wife, Patricia, is a descendant of the original Terry family, dedicated the park. 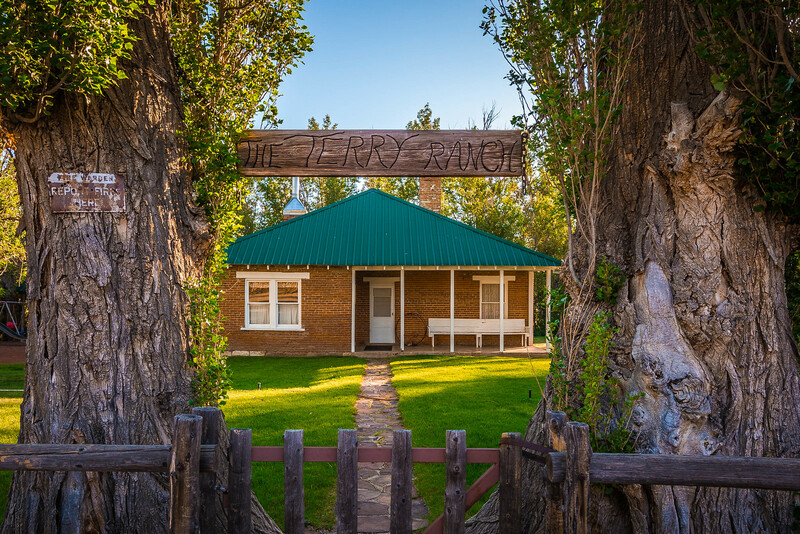 The Terry Ranch is located approximately an hour north of St. George. Take state Route 18 to Enterprise then turn left (west) onto Enterprise’s Main Street (state Route 219) and follow for about 12 miles. 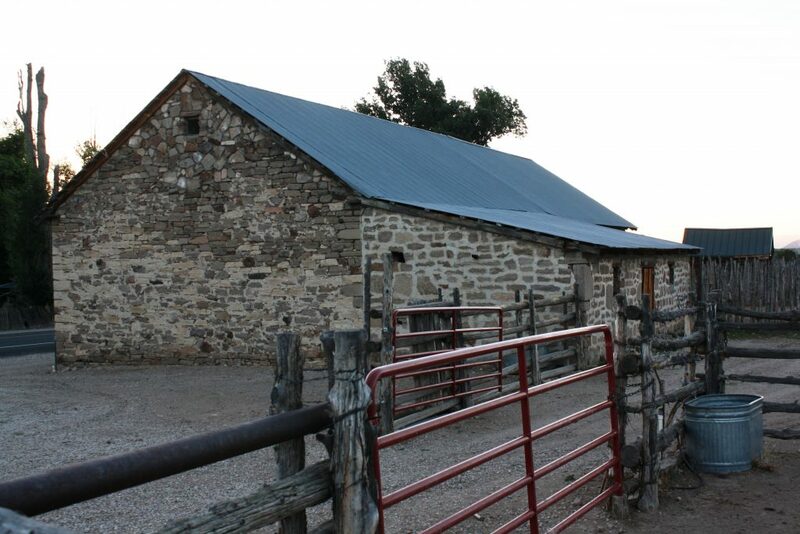 The ranch is private property, but drivers are able to stop on the side of the road to view the stagecoach stop and the ranch’s other buildings, take photos and imagine what life might have been like in the stone structure’s heyday as an important stage stop. 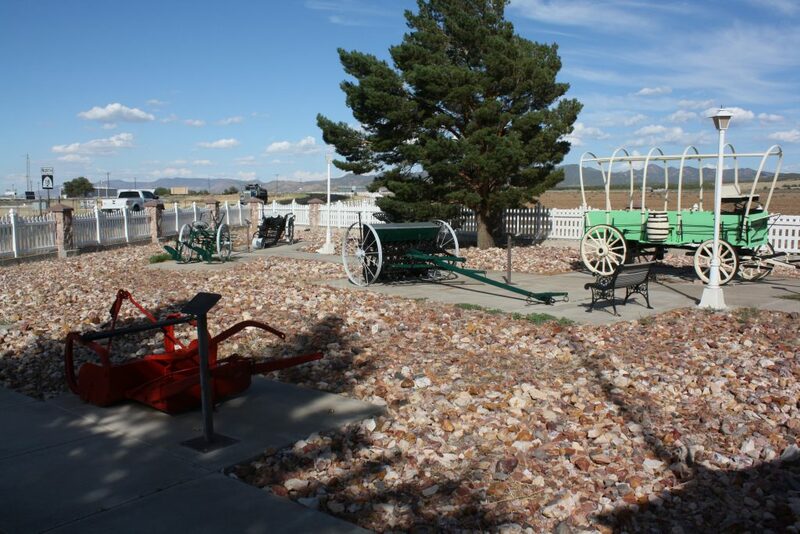 Before heading to the ranch, stop at the Terry Historical Heritage Park on Main Street right at the turnoff to state Route 219 heading west towards the ranch, which provides a good preview to the historic buildings themselves. Another fine history lesson my friend. Now I know what I see as I drive by. In my opinion, Reuben Wadsworth has reached celebrity status. A great writer, researcher, and teacher he is one of the more noted members of our Southern Utah area.